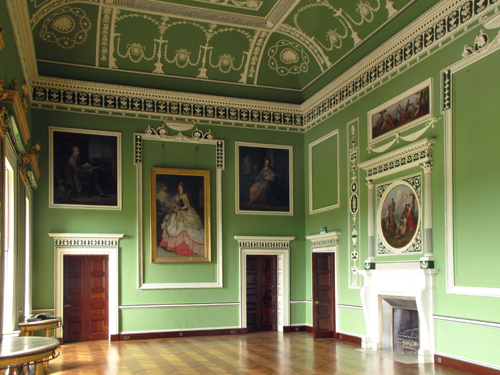 In the early 1770s Thomas Taylor, the first Earl of Headfort, commissioned Irish architect George Semple to build Headfort House. It was designed in a severe unadorned neoclassical style with an impressive scale and position. 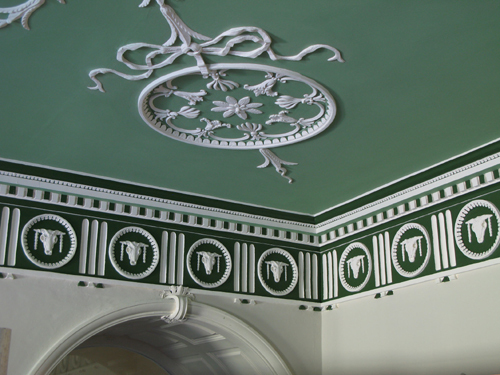 The interior contains a magnificent suite of six state rooms designed by the Scottish architect Robert Adam. 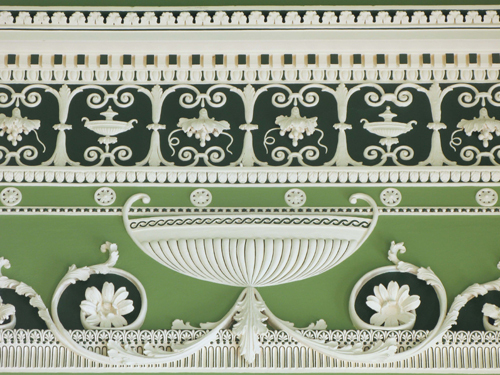 The World Monument Fund (Britain) engaged the specialist conservator, Richard Ireland, to undertake what was expected to be a relatively routine investigation decorative scheme of the Adam rooms. 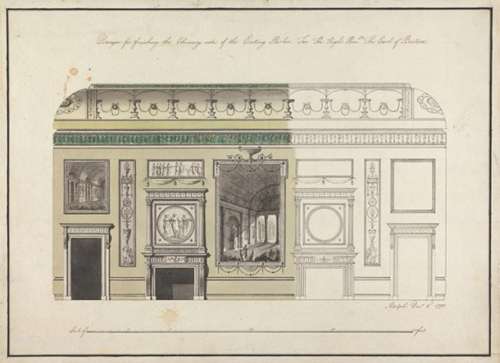 Drawings from the 1770s still exist and illustrate the original designs for the rooms. (These are now in the Mellon Collection at Yale, USA, and formed part of a RIBA exhibition on Headfort in 1973). It was thought that Richard’s findings would reflect the scheme shown in these drawings, but this was not to be the case. The initial findings astounded everyone, with a much greater degree of colour and variation being discovered than has been identified in any other Adam interior. The drawings at Yale gave little indication of the exquisite level of detail that had been uncovered. After reviewing these findings with other professionals, WMF Britain decided to embark upon a much more detailed and lengthy investigation to comprehensively identify the original colour treatment of the rooms. Patrick provided advice to the project and also colour-matched samples sent by Richard. Patrick’s company Papers and Paints supplied the paint for the project. Jennifer and I found this page the other day while looking for Adam style homes. We hoped to find an Adams style color combination for the moldings we just installed in our small kitchen. We found the inspiration we needed on this page. Though we’ll have a blue rather than green color scheme.